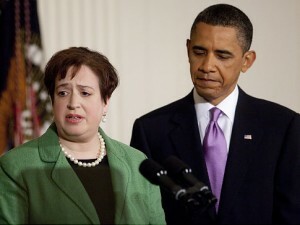 President Obama faces a critical legal test with his nomination this week of Elena Kagan, the Solicitor-General, to replace the leading “liberal” judge in the US Supreme Court. Justice John Paul Stevens, 90, is to retire in the summer, making way for his successor to be appointed in time for the autumn term. Stevens was a Republican appointee but has shifted from a generally “centrist” position to become decidedly liberal during his 34-year tenure. He has been at the centre of cases on criminal justice, the death penalty, gay rights and abortion. He also played a key role in the Guantánamo litigation and in seminal appeals involving freedom of speech. He recently gave the lead dissenting opinion in Citizens United v Federal Election Commission that reduced controls on corporate and union funding in political campaigns by a 5-4 majority. As the most senior judge after Chief Justice Roberts, who is regarded as conservative, Stevens writes the court’s opinion if he is in the majority rather than the Chief Justice. Justices’ lifetime tenure means that their appointment can alter the American legal landscape for a generation, not merely a political term of office. The President might have been expected to replace Stevens with a dyed-in-the-wool liberal but the Republicans have 41 votes in the Senate, enough to filibuster such a nominee if they wish. And the Republicans are likely to want to even up Obama’s appointment of Justice Sonia Sotomayor last year, who is perceived to be strongly liberal and ideological. The American judicial nomination and appointment process is a murky mix of political/ideological compromise and legal principle. Many Republicans, for example, have paid tribute to Stevens’ patriotism and their main concern appears to be blocking a judge who makes decisions according to his or her “own views and political agendas”, as a leading Republican on the Senate Judiciary Committee put it. The appointment of the judge is also symbolic: Sotomayor, for example, was the first Hispanic judge, the third female justice to have been appointed in more than 200 years and originates from housing projects in the Bronx. After Stevens has left, the remaining eight justices are all former federal appeals court judges and all had Ivy League education. None has aspired to any political office or served in the military. Six are Catholics and two are Jewish. Two are women. On the announcement of his retirement, Obama praised Stevens as an “impartial guardian of the law. He has worn the judicial robe with honour and humility. He has applied the Constitution and the laws of the land with fidelity and restraint.” He added that Stevens had “an independent mind, a record of excellence and integrity, a fierce dedication to the rule of law and a keen understanding of how the law affects the daily lives of the American people”. Those were probably strong signals that Obama had a centrist candidate in mind. Equally, Obama was unusually forthright in his criticism of the present centrist judge, Justice Anthony Kenne- dy, who gave the leading opinion in the politically charged Citizens United case. Obama described that as “devastating … [it] strikes at our democracy itself”. Obama’s choice of the recently appointed Solicitor-General Kagan to replace Stevens is somewhat controversial. She was a close former colleague of Obama at the University of Chicago Law School and was Dean of Harvard Law School but has never been a judge at any level. But then again, nor was the iconic Chief Justice John Marshall who shaped American law in its formative stages so that the Constitution as interpreted by the Supreme Court is the supreme law. Nor, indeed, was the mighty Chief Justice Warren or Justice Felix Frankfurter. The issue has some resonance in Britain, given the withdrawal of the application of Jonathan Sumption, QC, to the Supreme Court after reportedly strongly held views concerning his lack of judicial experience. Although Kagan is generally viewed as predominantly liberal, she has attracted recent criticism for her support (at her Solicitor-General confirmation hearings) of detention without proper trial of remaining Guantánamo detainees and other legal legacies of the Bush Administration. At 50, she would be the youngest Supreme Court Justice and the first appointee without judicial experience for almost 40 years. Some Republicans are bound to object to her pro-gay rights stance and her Senate confirmation hearings may contain the odd firework. The other front-runners for Stevens’ job were the federal appeals court judges Diane Wood and Merrick Garland. Wood would have faced very strong opposition because of her pro-abortion rulings. Garland is a former prosecutor and was perceived as a “moderate” from the highly regarded Court of Appeals on the DC Circuit. But whatever uncertainty surrounds Stevens’ replacement, it seems clear that President Eisenhower’s menacing quip, that his biggest “damned-fool” mistakes were sitting in the Supreme Court, will be looming large in Obama’s mind right now. This post originally appeared on the Timesonline and is reproduced with permission and thanks. I’m disappointed Obama nominated Kagan over Sid Thomas. While Kagan is a superior academic, it appears the first time she’s been on her feet in any court was recently as Solicitor General (arguing the Government’s case in the Supreme Court). Oyez host recordings of SCOTUS cases, and having heard Gen Kagan in action, I was not overly impressed. But academic v trial lawyer issues aside, she has some worrying views. I’m not sure where in the Constitution (6th Amendment) she thinks the Executive has power to indefinitely detain people suspected of assisting Al Qaeda. I also wonder which bit of, “Congress shall make no law…” gives the Legislature authority to infringe free speech. Could someone on that side of the pond clarify who supervised Elena Kagan’s graduate thesis at Oxford-Worcester? Leave a reply on "En garde! Let the battle for the new justice of the US Supreme Court begin"